When you think flu prevention, you might think of immunization first, but that’s not the only tool we have for staying healthy. It’s also important to wash your hands, get enough sleep, stay hydrated, stay active, and eat whole, nutritious foods to keep your immune system strong and able to fight off viruses throughout the cold and flu season. I had a chance to chat with the registered dietitian at my local Superstore, Brittany Thomas, MHSc, to discover the best foods to focus on this time of year for a healthy immune system. Think orange when you’re shopping in the produce section. Orange fruit like citrus, grapefruit, oranges, and mangoes are rich in vitamin C, and orange veggies like sweet potatoes, squash, carrots, and bell peppers (all colours) are high in vitamin A. 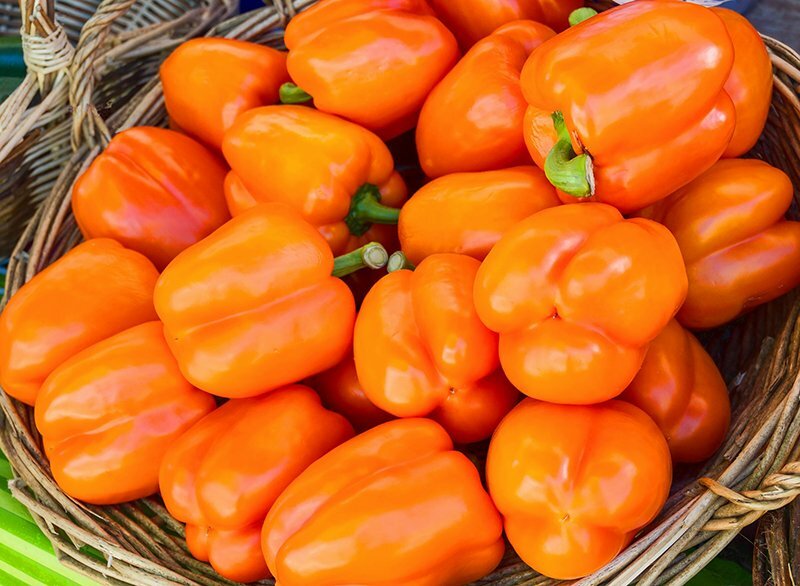 Did you know that bell peppers are a better source of vitamin C than even oranges? Legumes like beans and lentils provide fiber and zinc necessary for normal immune function, energy metabolism, and growth. For those of us who avoid beans or pulses, high-quality meats and seafood (especially shellfish) are also excellent sources of zinc, and many fruit and vegetables also provide fiber. Good sources include raspberries, blackberries, pears, apples, avocados, artichokes, peas, broccoli, and Brussels sprouts. Nuts and seeds provide protein, fiber, and vitamin E, a dietary antioxidant that helps in the maintenance of good health. 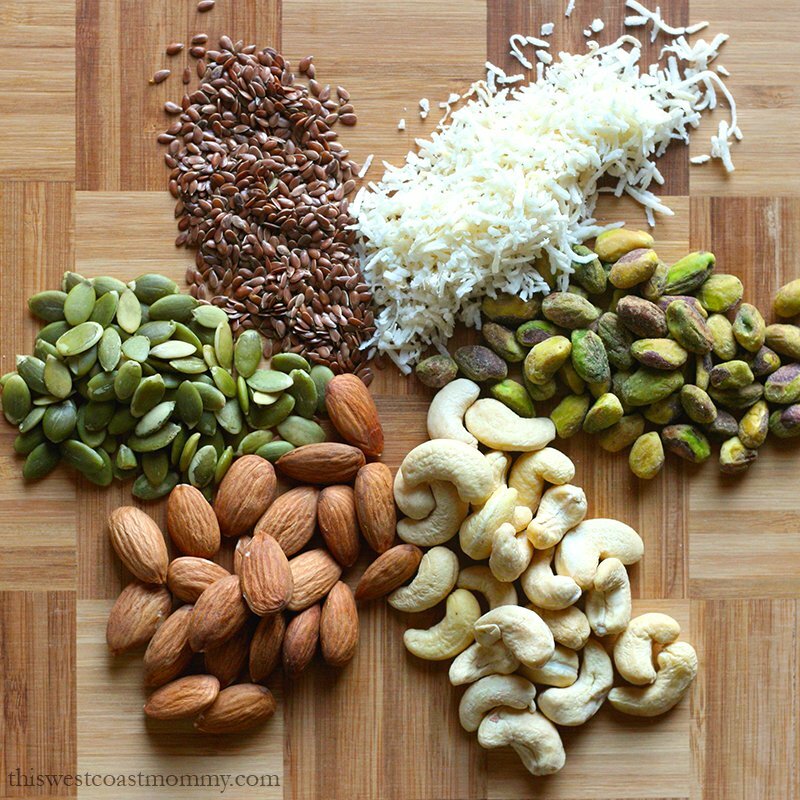 Almonds and hazelnuts are great sources of vitamin E, but limit portions to 1/4 cup. Looking for a tasty nut and seed snack? Try this grain-free granola made with almonds, cashews, pistachios, pumpkin seeds, coconut, and flax seeds. Probiotics help moderate healthy immune function. You can find probiotics in yogurt (avoid added sugar) and in kefir (try adding kefir to your smoothies). If you don’t eat dairy, you can find probiotics in non-dairy sources like kombucha, sauerkraut, or fermented products like tempeh. Getting probiotics from food instead of probiotic supplements allows you to reap the benefit of other nutrients in the food, like protein and calcium. Protein is important for overall health and for building antibodies, so choose foods with plenty of protein like high-quality meats, seafood, eggs, milk, nuts, seeds, and legumes. 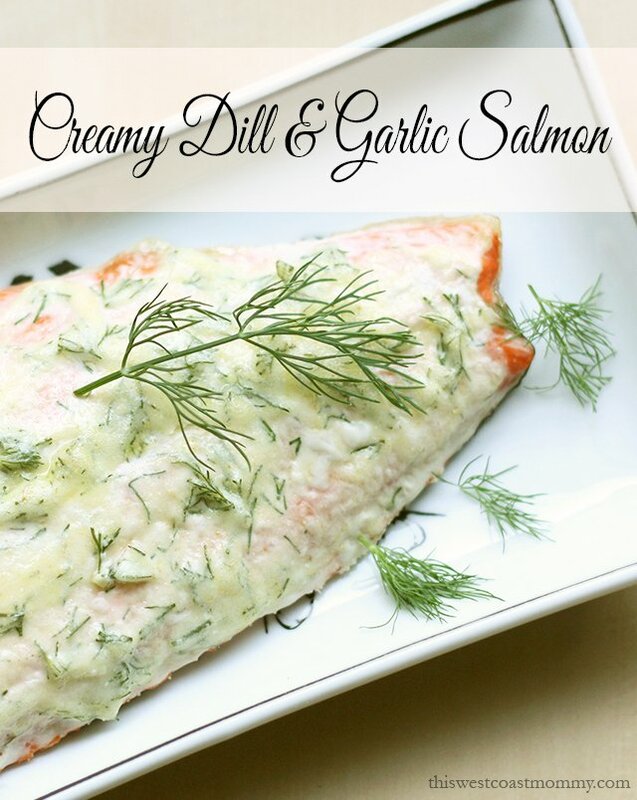 Get this Creamy Dill and Garlic Salmon Recipe. The team of 70 registered dietitians at Loblaws stores is an amazing resource for all of us wanting to prepare for cold and flu season with foods and recipes to promote good immune health. They answer your questions in store, on the phone, and via email. You can also book a consultation with your local dietitian to review your current health status, diet, and lifestyle and get evidence-based recommendations to help you meet your goals from meal planning ideas, help reading food labels, to how to order the healthiest options at a restaurant. Dietitians also provide medical nutrition therapy. So if you or a family member has type 2 diabetes, gestational diabetes, high blood pressure, celiac disease, food allergies, or other medical concerns, a dietitian can help you learn how to adjust your diet to meet all your nutritional needs within your personal parameters. Got a picky eater? Brittany had some advice for parents with picky eaters too (I might know a little thing about that!). Role model the behaviour that you’d like to see. If you want your kids to eat more veggies, you should too. As difficult as it may be in the moment at the dinner table, avoid forcing, bribing, or using food as a punishment or a reward. Since it can take up to 10 exposures to a new food for a child to try it, just keep offering. 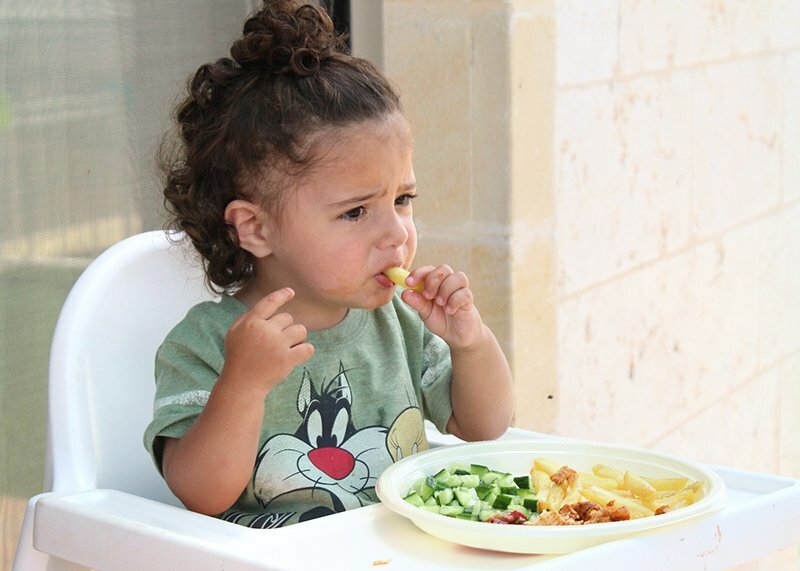 Offer at least one food that you know your child will eat at every meal so they have something to eat, even if they’re not yet ready to try a new food. Visit your local Loblaws or Superstore to book an appointment with an in-store registered dietitian for more information on foods that help support good overall and immune health during cold and flu season and year round. To limit the spread of germs, wash your hands frequently throughout the day. Teach your kids how to wash their hands properly too: with soap and warm water for at least 20 seconds, scrubbing the front, back, between their fingers, and under their nails. If you’ve ever had the flu, you don’t need anyone to tell you just how miserable it is. Flu symptoms start one to four days after being exposed to the virus and include feeling feverish, chills, headaches, sore throat, body and muscle aches, fatigue, and sometimes vomiting and diarrhea. The flu typically lasts seven to 10 days, but could persist for up to two or even three weeks. Flu season runs from November through to March/April, so right now is the best time to get vaccinated. Once vaccinated, protection will last roughly six months, but be aware that it can take up to two weeks for it to take effect. According to the National Advisory Committee on Immunization, everyone should get the flu vaccine, but it’s most important for vulnerable individuals like seniors 65 years of age and older; healthy children 6 months to 5 years of age; healthy pregnant women at any stage of pregnancy; and children and adults with chronic medical conditions. Depending on how well the vaccine is matched to this year’s common viruses, 40-60% of flu cases can be avoided through vaccination. Spending a few minutes getting vaccinated could save you 14 days of misery! 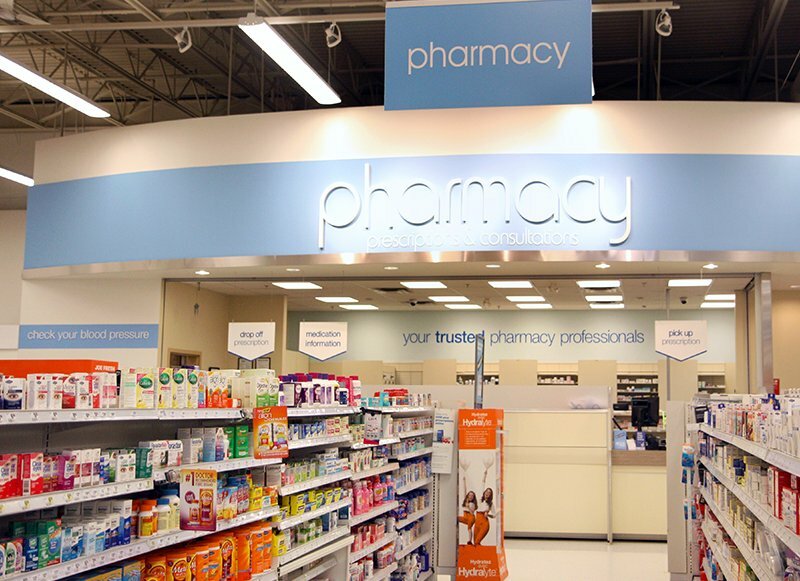 Do your shopping and get your flu shot all at the same time when you visit your local Real Canadian Superstore. I’m giving away a $100 President’s Choice gift card to one lucky family to help you start stocking up on healthy, nutritious food. Tell us what you do to help your family get through the flu season. Share your best flu prevention tips or your go-to comfort meal when you’re sick. Disclosure: This is a sponsored conversation. Nevertheless, all opinions in this post are completely honest and my own. Your experience may differ. Nutrition Facts for Health and Fun! I’m not looking forward to the cold/flu Season but when i get a cold my go-to comfort meal is Homemade Chicken Soup. We get our flu shot every year, and since I have been off work since 2008 I haven’t been sick, but this time I got it good, I’m going on past a week now, just does not want to leave, we wash our hands and I wipe everything down with lysol wipes! plus lots of good homemade chicken soup and I make sure to drink lots of fluids as well! We get our yearly flu shot and take our vitamins. Chicken noodle soup is what I turn to when I have the flu. I always take vitamins C & D daily, I haven’t had a cold or flu in years and I have never gotten a flu shot. We try to take in lots of Vitamin C and we do have our flu shots! We wash our hands as often as we can as well. The flu shot has worked for us every year it seems…but if a cold creeps up , I always have homemade soup to help it through! We get the flu shot and if we do get a flu or cold we drink lots of homemade chicken soup. I always get a flu shot, eat breakfast and try to eat healthy to prevent getting sick. Every sink in the house has hand cleanser to encourage hand washing. I also like to spray all the door knobs in the house with Lysol to kill germs. Comfort food when we are not feeling well is usually home made soup. I make stock and freeze it for times like these. Add veggies and noodles. The family loves it all the time. I make sure my kids and I are always washing our hands. When we do get sick we all like a good cup of hot tea to make us feel better. For colds or the flu a bowl of homemade chicken noodle soup is so comforting and nutritious. I make homemade chicken soup. We also wash our hands lots, I disinfect the door knobs. The best prevention is eating lots of vegetables and fruit , drink lots of fluid and get your sleep. To prevent the flu in our house we get our flu shots, wash our hands and stay warm!! When’s some ones sick we bring out the Vicks vapour rub. When I’m sick my comfort food is home made chicken noodle soup. I use a TON of Lysol Wipes and spray Lysol during the fall – wipe everything that can be wiped and spray the rest. I’ve discovered that you can talk to teens all you want and sometimes it sinks in but most times no… so I clean. Vitamin C! Lots and lots. Smoothies, oj, and supplements. I wash my hands well and often, get my flu shot every year (helps protect the community too) and take daily vitamins as well. We make sure that everyone gets their flu shot, lots of handwashing and take vitamin D and extra vitamin C. Then we cross our fingers. We get the flu shot every year to get ready for the flu season. Chicken noodle soup and Lots of lemon water. We believe in lots of hand washing and coughing in our sleeves. We wash hands constantly, to try to prevent catching the flu. Typical stuff: rest, drink lots of liquids. My go to is always hot tea with honey and lemon, and chicken noodle soup. In my family we fend of the flu by taking Oregano Oil daily and drinking soup. We also have a strict regimen around hand washing! We try to keep the house germ free as possible. Wiping down all the hot spots, door knobs and cupboard/fridge handles. Lots of rest and drinking water and of course our vitamins. We get our flu shots, do lots of handwashing and take extra vitamins to try and stay healthy. I get a flu shot and try to get lots of sleep to help keep my immunity up. I don’t let any one drink from the same cup and make them wash their hands. A lot. We take vitamins, try to eat healthy (lots of fruit especially) and get our flu shots every year. We got our flu shots today.We also take vitamin C supplements and wash our hands frequently. Everyone in the household gets their annual flu shot, and I stress frequent hand-washing! Getting through flu season can be done with simple things in my house. Washing hands and wiping down door knobs, light switches and commonly touched surfaces. It has really helped keep the flu bug away. I can never tell people enough to wash your hands all through the day. We wash our hands, and take Emergen-C.
We make sure to take our vitamins and to practice good hygiene like washing our hands thoroughly! Our go-to comfort food is chicken noodle soup! Vitamins/immune boosters and flu shots. 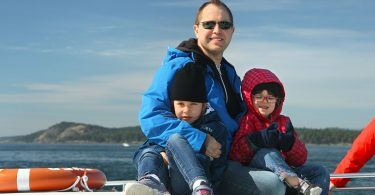 My kids and I got our flu shots as soon as they were available! Those is awesome! I just got new casserole dishes and have been wanting to try roasted root vegetables with balsamic and fresh rosemary !! I love a bowl of congee when I am feeling something. Go to comfort meal is definitely Campbells Chicken Noodle soup and saltine crackers!